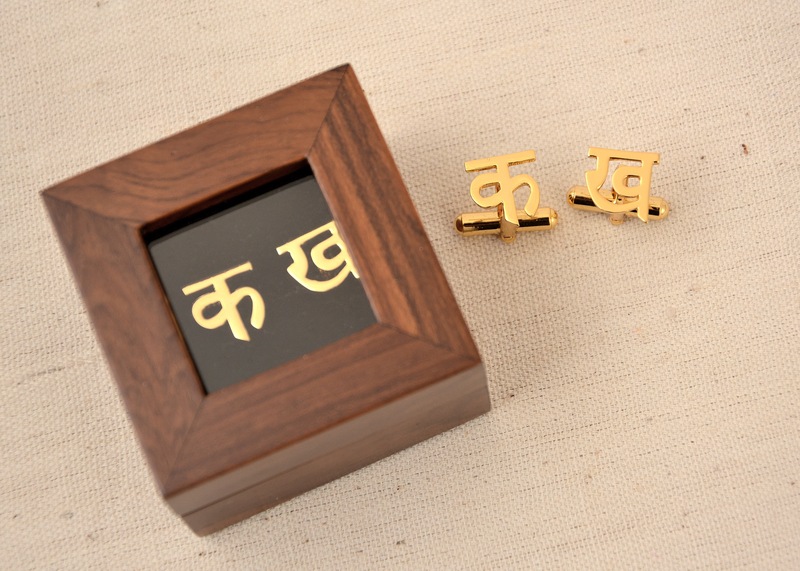 Cufflinks from our scriptum range encased in a teak wood box. The perfect gift. Available in Gold Plating and Rhodium Plating. Now at stores. This entry was posted in Whats New and tagged anandprakash, cufflinks, Devnagari, goldplated, mensaccessories, metal, rhodiumplated. Bookmark the permalink.